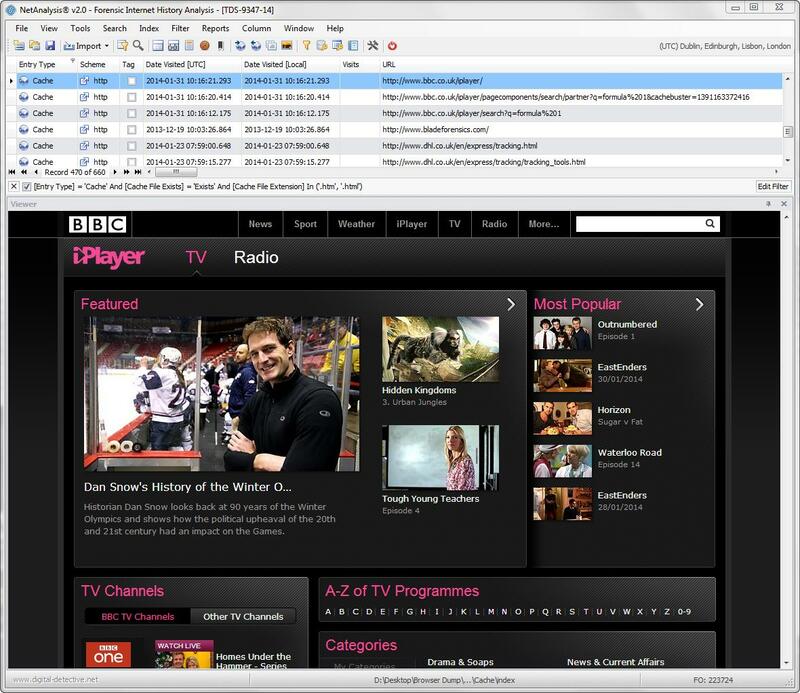 We have added an offline HTML5-compliant viewer which is capable of displaying cached web pages, video, images and other content; it can also play audio files. 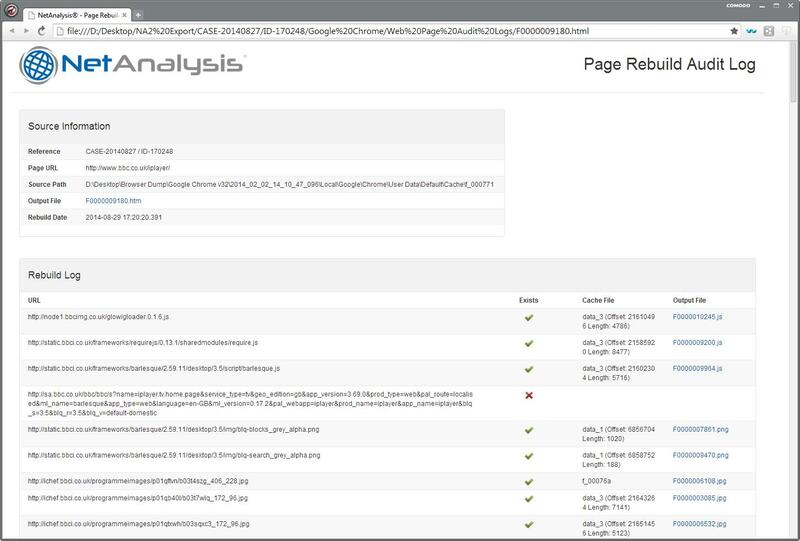 As each page is rebuilt, NetAnalysis® builds a log showing the original URL and corresponding extracted, cached item. 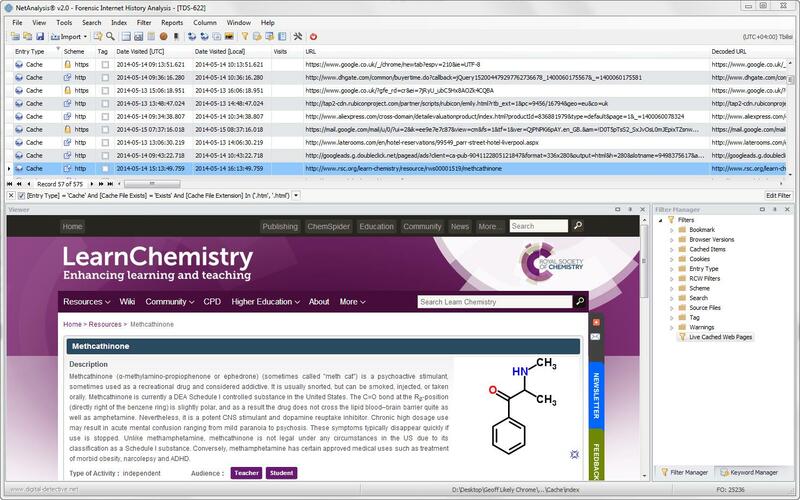 It also identifies where each cached item was extracted from and provides a hyperlink to the file. As web pages are extracted, NetAnalysis® converts any page content from HTML to plain text for subsequent indexing and viewing. NetAnalysis® also supports the automatic decompression of cached data which has been compressed by Gzip or deflate. The window above shows the text of a web page which has been extracted during the cache exporting process. The window above shows another example of a rebuilt web page.